Recording of Hocine Kerzazi's lecture at the Kaleidoscope social center (partner: Nathalie Letellier, General Secretary of the League of Education - FAL 72). The teaching of Arabic to a French public is a growing market. In the private sector, it is in the hands of associations, private Muslim school groups and Islamic institutes. In addition to paperback manuals, three types of media are becoming increasingly popular: eLearning (services based on the Technologies of Information and Communication applied to teaching and on the NLP – Natural language processing) ; content-sharing websites (blogs, forums, social networks, video-sharing platforms); online resources including documentary content and hyperlinks. As for the content of the teaching, the most remarkable phenomenon is the development of a speech putting more emphasis on the normative dimension of religion than on, for instance, the richness and diversity of the written Arabic culture (poetry, philosophy, stories etc.). This normative discourse, centered for a large part around dominant characters (Ibn Hanbal, Ibn Taymiyya, Ibn Abdel-Wahhab Muhammad), aims to convey a specific image of the Muslim religion. The intervention will try to highlight themes, networks and references that are used in this important field. 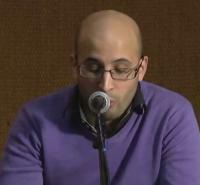 Hocine Kerzazi (Université du Maine/Lebanese University), “L'enseignement de l'arabe et ses enjeux religieux,” Institute of Religious Pluralism and Atheism - Resources center, accessed April 25, 2019, http://ipra.eu/centre-ressources/en/items/show/13.